Stacy Rosenbaum (University of California at Los Angeles) was awarded a Leakey Foundation research grant in 2010 for her project entitled “Male-immature relationships in the mountain gorilla (Gorilla beringei).” Dr. Rosenbaum and her team were recently published in the journal Animal Behaviour, and she was kind enough to provide us with a brief summary of the article. Every day, just like humans, animals have to make choices about who to socialize with. Also like humans, they generally (though not always) have the strongest bonds with their relatives. There are good reasons for this; for most of the primate lineage’s evolutionary history, it was likely highly adaptive to primarily associate with, and help, relatives. However, if you’re living in a group that includes unrelated animals, it also creates an interesting conundrum: how do you figure out who you’re related to? For years, primatologists assumed that when monkeys and apes lived in groups where females mated with multiple males, fathers and infants couldn’t recognize one another. Thanks to advances in molecular genetics, we can now reliably determine an infant’s paternity even in wild populations where blood samples are impossible to obtain. By matching paternity to behavioral patterns, we know that fathers and infants in some species do appear to “recognize” one another. The mechanism remains unknown, though it’s likely that males are using a form of ‘bet-hedging’ based on their previous mating history with an infant’s mother. 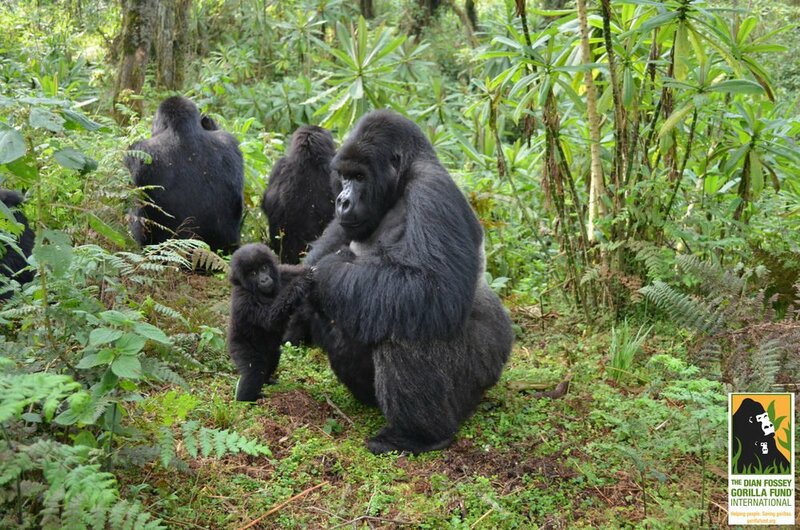 Mountain gorillas are an interesting species in which to investigate male parenting. 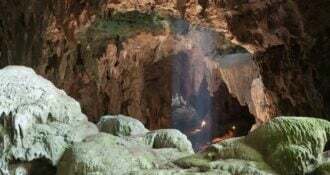 For most of their evolutionary history, they probably lived in groups with one male and a few females and infants. Infants and males could both be confident they were related. However, today they are regularly observed in groups with multiple males. 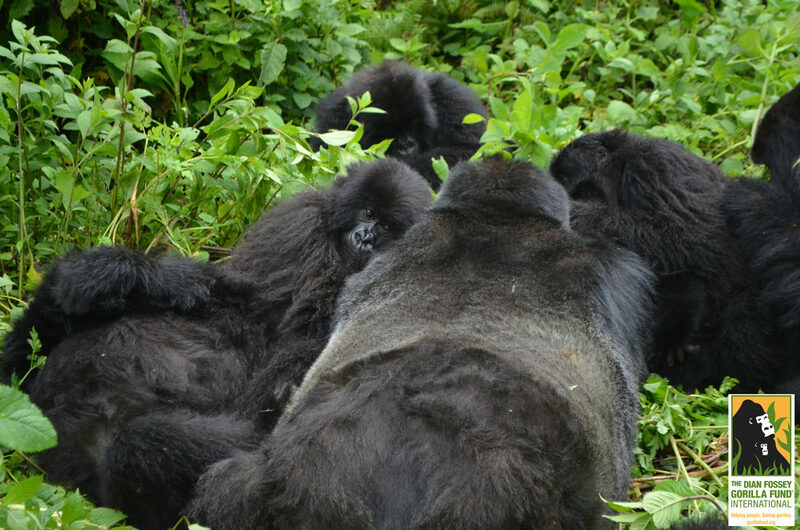 The gorillas monitored by the Dian Fossey Gorilla Fund’s Karisoke Research Center have been closely studied for the last 48 years. 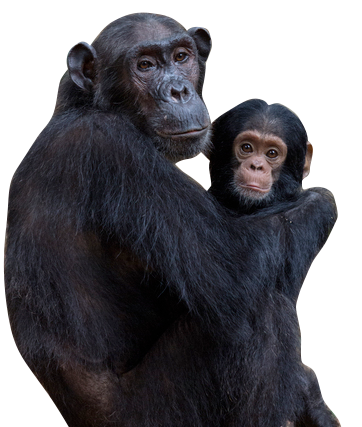 Because they are well habituated to human presence, we can collect both detailed behavioral and genetic paternity data. Their large, multimale/multifemale groups presented an excellent opportunity to ask an intriguing question: can one of humans’ closest living relatives recognize paternity when there are multiple possible fathers, even though we think this is likely an evolutionarily novel type of social group? It turns out, the answer is ‘probably not.’ Infants socialize with adult males based on males’ dominance rank, not paternity. 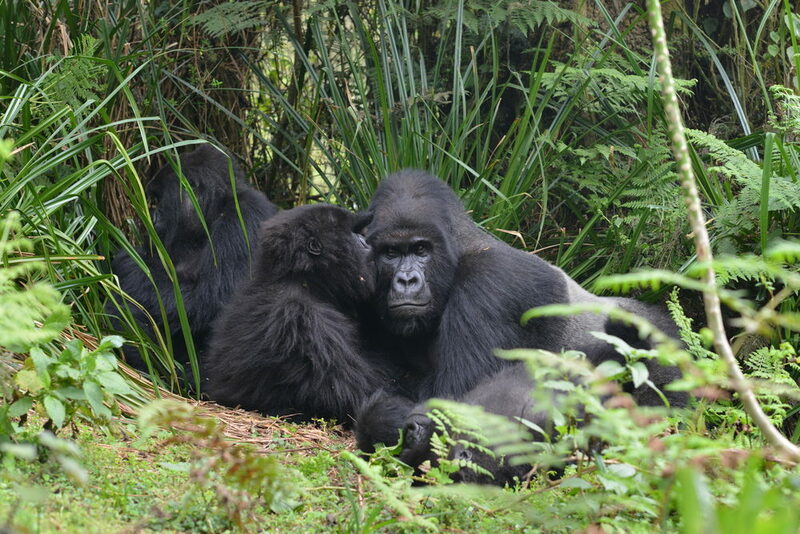 Dominance hierarchies are strong amongst male gorillas. Alpha males sire the most infants in a group, but males who are lower on the totem pole also father a surprising number (in one of our samples, ~60% of infants). We found no behavioral indicators that males or infants were using paternity as a cue for selecting one another as social partners. Infants preferred males who were higher ranking than those who were lower, regardless of whether that male was dad. Currently, we’re working on figuring out what hormonal signatures are associated with male gorillas’ parenting behaviors. Like humans, gorillas show a tremendous amount of individual variation. Some males are very paternal, playing with and grooming infants. Others, while tolerant, show little active interest. We hope to understand more about the mechanisms that drive parenting behavior under different conditions in humans and their relatives. 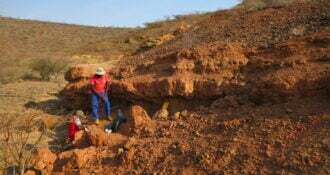 The Leakey Foundation’s support allows us to integrate physiological and behavioral data to gain a more complete picture of the evolutionary history of the human lineage. 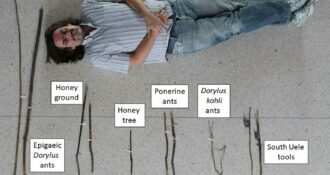 You may read the full article in Animal Behaviour by clicking here.